When I think of the shield on the parka, I think of God’s words, “You are my refuge and my shield; I have put my hope in your word.” Palm 119: 114. I found that the word, ‘shield’ is used in the Bible many times. I am encouraged today – even when I am not walking in full armor in my daily life, Jesus is my refuge. Today, I cut up the patterns for the shield but slightly changed the height to avoid the black spots of the calf skin. In the old days they used caribou as the shield. Perhaps, next time with the child parka I’ll use caribou skin as a shield. 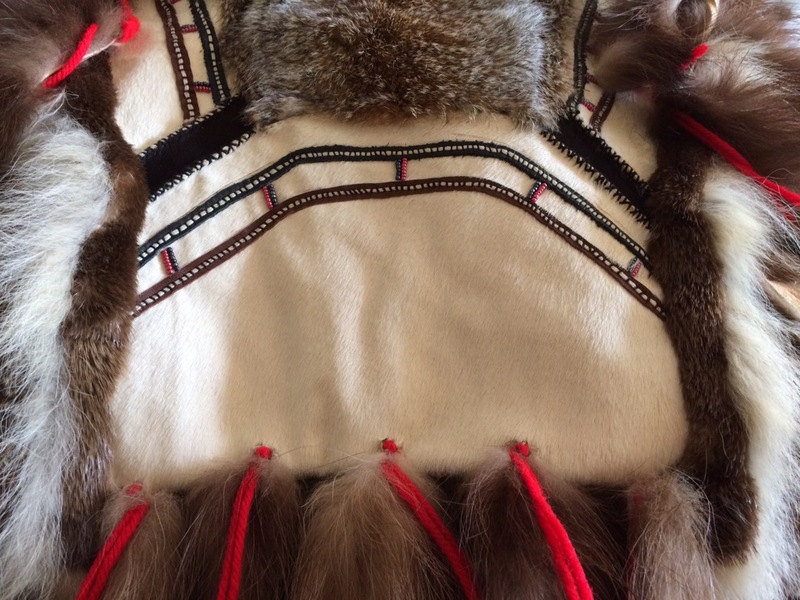 I am searching for caribou hide for the hair strips. 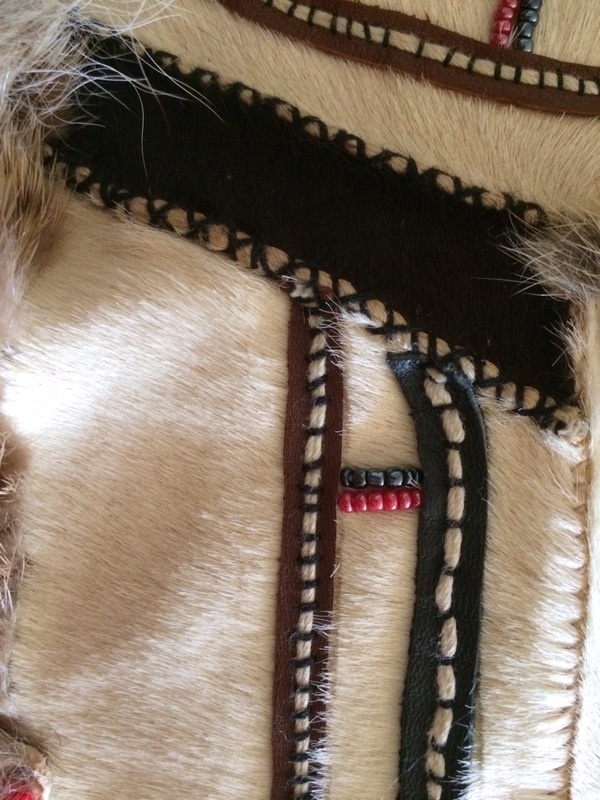 I am thinking of using caribou or moose sinew to sew the strips on. I am getting more excited about sewing them together. It’s easier than I thought. 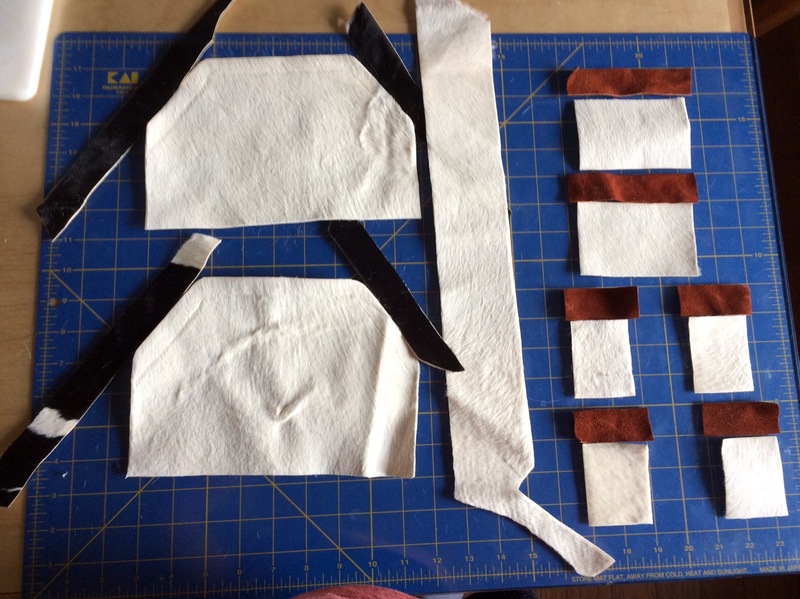 If you already hand sew – this too is possible!!! I encourage you as the Word of God encourages me – take on a challenge and learn with me. You can contact me for ideas – I like sharing what I am learning. The swan feets are both dry. They turned out great! I think I may have to find caribou by way of hunting for them. Talking about hunting, I actually went trapping for Arctic Ground Squirrels and caught three 🙂. Thanks to Harry and Sharon Alexie and their children and Sargent and his son George Guy for showing me the ropes of squirrel trapping – I learn a wealth of knowledge within an hour or two to trap and the proper way of taking care of the meat. Quyana cakneq!!! It took a lot of courage for me to step into the trapping experience- it’s harrowing to do it alone for the first time – thank God my daughter was with me. Stay tune for more stories with pictures! Have a wonderful week! Piurci! Next Next post: Learning from experience.